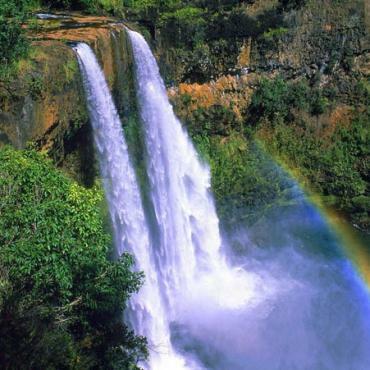 Mark Twain called it, "a scene of wild beauty". Just as it was for Twain over a century ago, this is truly the experience of a lifetime! 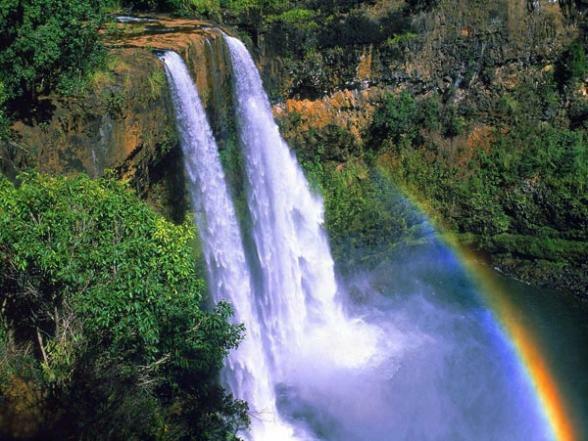 Pick up is provided from major Hilo hotels and Hilo Airport. Tours are not permitted to pick up in residential areas, the National Park or at B&B's. Pick up 8:00-8:30 am with return approximately 4:30-5:00 p.m. 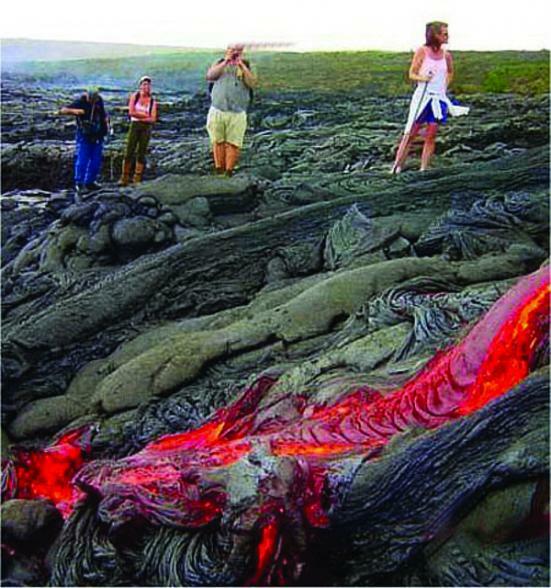 Wear sturdy, closed-toe shoes as this tour traverses sharp, uneven lava surfaces. We cannot predict weather or lava viewing conditions. Lava viewing features can change hourly. 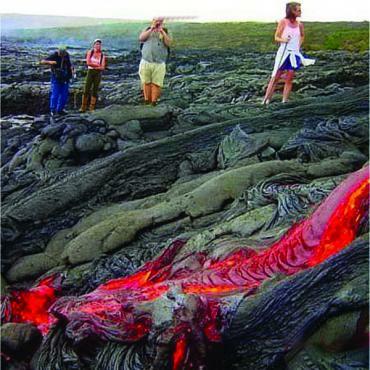 WE DO NOT GUARANTEE SIGHTING OF ACTIVE LAVA FLOWS. Operates daily. Some features may be closed on Christmas, New Year's Day or Thanksgiving. No host lunch at Volcano House (subject to change).